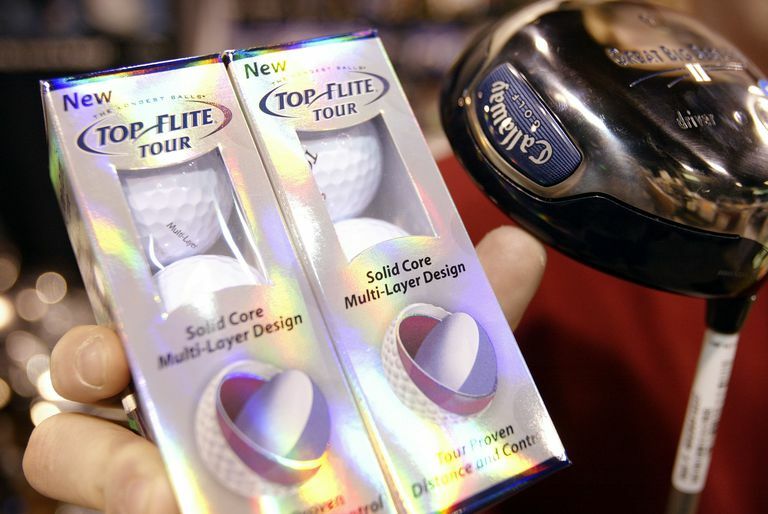 The Top-Flite XL 3000 Super Straight golf balls were introduced to the retail market in mid-2002 by the company known for distance and value golf balls. These balls, however, were marketed as helping golfers who suffer from slices and hooks keep their shots more on target. Reduces sidespin, helping fight slice, hook. Cover designed to produce boring (as in cutting through the wind) trajectory. The ball is slightly larger than normal, which will feel ... weird ... to some. Slick surface hurts spin control around greens. The super-slick, non-stick coated cover is made from Beta Titanium Ionomer. In its 2-piece construction, the core is Tungsten. 422 dimples are in Top-Flite's S.O.A.R. - Scientifically Optimized Aerodynamic Reaction - pattern. S.O.A.R. 's aim is to create surface turbulence, which reduces drag to create a boring trajectory. The Top-Flite XL 3000 Super Straight is definitely that - straight. As compared to other "straight" balls, that is. We all know it's the swing, not the equipment, that has the biggest impact on flight characteristics. But the Super Straight definitely helps those who slice or hook. It's also great at boring through the wind. As with any ball that is super-slick with a non-stick coating, the Super Straight is not going to do much in the way of checking up on greens or providing bite. But those who are most likely to benefit from this ball likely aren't going to be expecting that anyway. The Bottom Line: Top-Flite balls usually perform well within their category (distance/value), and sometimes transcend their category. The Super Straight accomplishes No. 1, but not No. 2.